On Saturday, February 3, 2018, PrintSouth Printing will be one of the sponsors for the MGC Long Run 15k and 5k? in Columbia, South Carolina. This annual event includes three different categories, the main event is a 15K MCG Long Run (pdf); a shorter Not So Long Run 5k (pdf) and the always popular Kids’ Fun Run (pdf). There are cash awards for the top runners in each age groups. If this is your first time training for a 5k, here are a few tips to keep in mind when training. 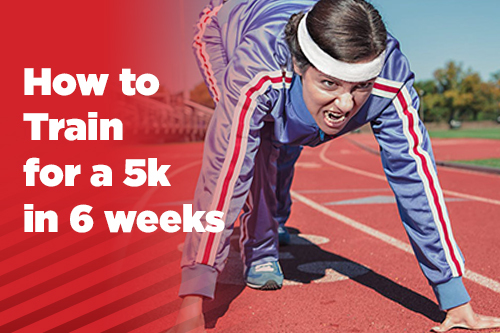 When starting a 5k training plan, as a beginner or even as a veteran runner, starting easy and building endurance is vital to remain injury free. Staying consistent with a training plan will help you achieve a successful race. Be prepared to experience some aches and pains. DOMS is an acronym for Delayed Onset of Muscle Soreness and is most common when starting any new exercise plan. Be smart about the difference between discomfort and pain. You should not experience pain, if you do, seek medical attention. Maintaining proper hydration will help prevent cramping. Drink to your thirst, letting your body tell you when to drink. Sports Drinks are ok, on occasion, but they generally contain unnecessary sugars and calories. Use them sparingly, especially when trying to maintain a healthy diet. There are many great nutrition guides for beginners entering their first C25k on the internet, but as always, consult your physician first. On race day, there will be lots of other people running, so you will be in a crowd. Be aware of your surroundings. Focusing on people around you and watching for debris along the race way will keep you from falling and getting injured. If you have trouble or need assistance, look for race marshals along the way. Good luck and keep running after the race to achieve a healthier and happier you! If you are interested in running this race, use this link to register and shoot us an email letting us know that you registered. This road race began in 2014 in an effort to combine the firm’s wellness initiative with its community giving program. Over the past four years, the MGC Long Run has raised nearly $100,000 for nonprofits, including the USOSouth Carolina.